ABC Store at 205 Lewers St.
Customers who purchased and consumed the product and are not vaccinated for hepatitis A are advised to consult with their doctor. May 4, 2017: New information was publicly released from the ABC store located at 205 Lewers St. 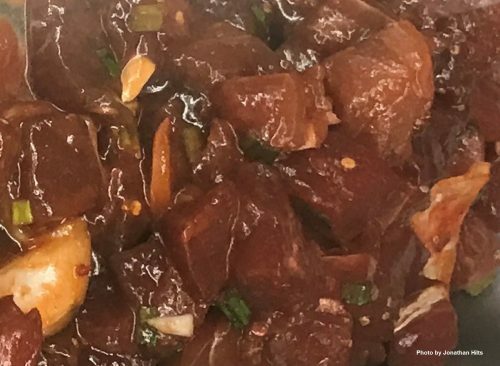 The store has issued a notice warning customers that ahi poke purchased from the store on Sunday, April 30, may have been tainted with hepatitis A. The store advises customers to take proper health precautions. Call ABC Stores at (808) 591-2550 if there are any questions or concerns. May 3, 2017: DOH has been notified by Tropic Hawaii, the distributor for the imported frozen raw ahi, that Aloha Sushi at 3131 N. Nimitz received, but did not use any of the product to serve or sell food.